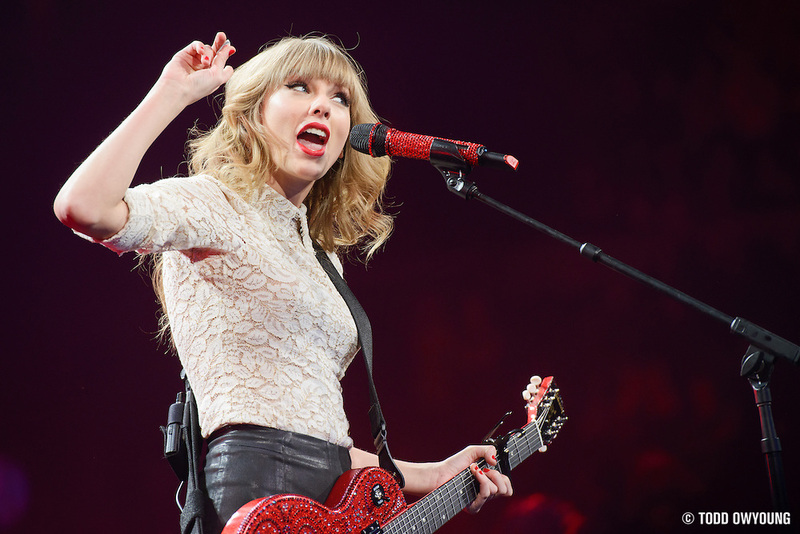 One of the biggest tours of 2013 was easily Taylor Swift's RED Tour. 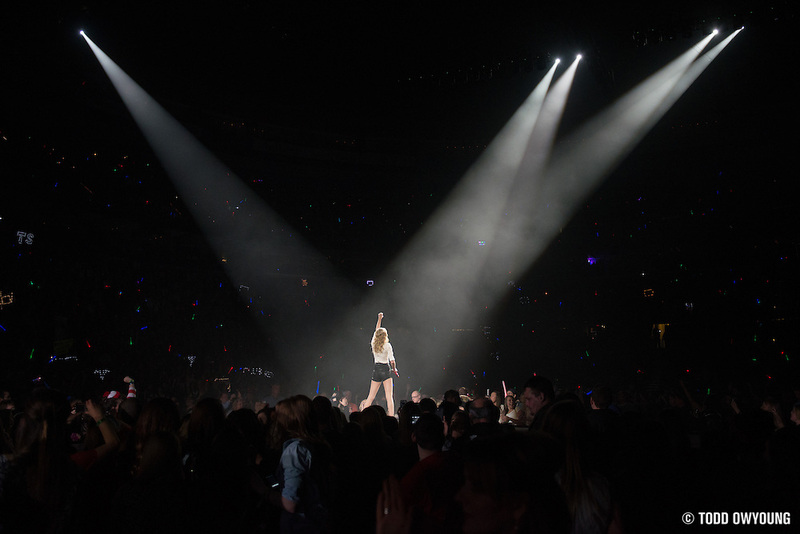 Here are my photos from two songs with Taylor Swift at the Scottrade Center. 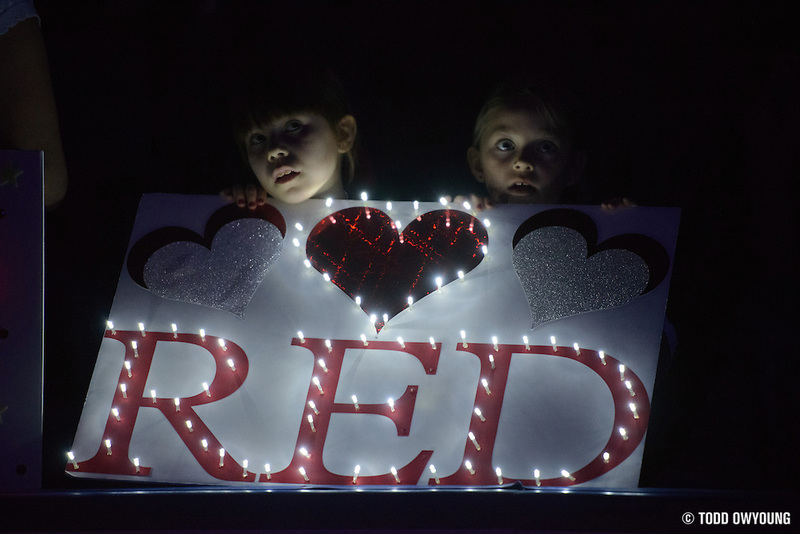 This Taylor Swift show was an interesting shoot for a couple reasons. While the initial report was for a “pit” shoot, the real shooting location for this tour was from just outside of the barricade, stage left. While this might be a bit limiting, it was still much better than a traditional soundboard shoot. Shooting access was for songs two and three only. The first song, Taylor Swift spent the majority of the performance on a half circle ramp and a central thrust that extended from the stage. So from the press shooting position, she had her back to us, so there was really no clear shot anyway. Lighting was quite good and basically pure white light, no complaints there. I used the Nikon D800 as my primary camera for this shoot with the D600 as my secondary body. For anyone looking for two complimentary cameras, I think the D800 and D600 are well suited to each other in these roles. In fact, the D600's 5.5 FPS frame rate is a noticeable and valuable improvement over the D800's lazy 4 FPS — a boon for any event or music photographer. I reviewed the Nikon D600 last year and found it to be excellent — the D600 has since been replaced by the Nikon D610, which is basically identical and very easy to recommend all the same. As always, fantastic shots. You capture the most crisp, solid images. Thanks for sharing!